While working on a saw I realized I forgot another great way to recognize set. Often I find older sharpened saws have a good deal of fleam. Once jointed its very easy to see the angles on the leading edge of the tooth and use it to determine the direction each tooth was set. In the photo above the saw sits in the vise: handle to the left (I’m south pawed). Looking at the above photo note orientation and angle of the leading (front) edge of the tooth. This indicates it was bent towards me. By “me” I mean the person seated at the vise. I would also call that bent to the right. So referring back to the previous post this plate would be Right Left Right. Just another arrow in the quiver. Ready. . . Set. . . Go! So we left off talking about shaping teeth and the next step for most people is setting the teeth. I say most people because there’s a school of thought that proper set cannot be achieved until the teeth are sharpened and a test cut is made. From that you determine how much set is needed. But before we dig in, it’s important to understand what set is and its purpose. In short it’s the bending of teeth in opposing directions to prevent the plate from binding as the saw moves deep in the kurf. The amount varies depending on the plate and both the condition (wet or dry) and type of wood (hard or soft) used. 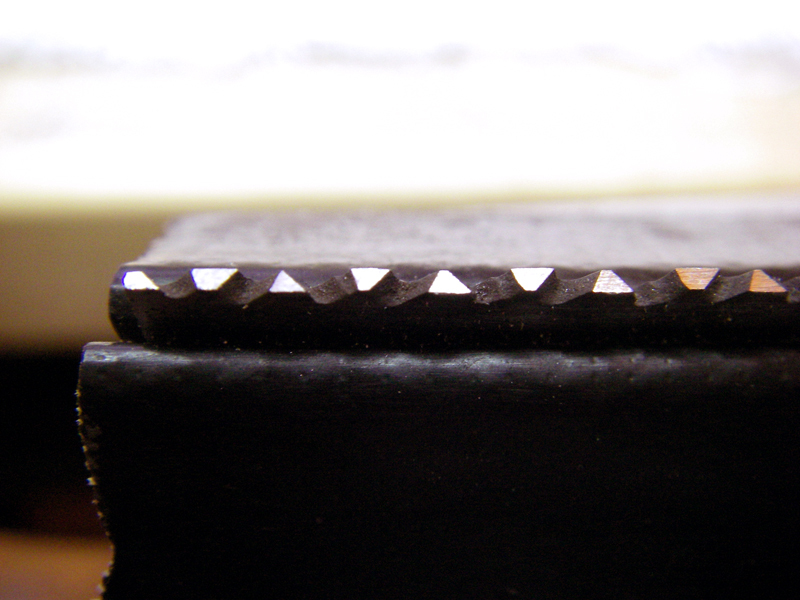 First things first, when to apply set—pros and cons of setting before or after sharpening. The pro to setting the teeth before sharpening is you don’t need to worry about scuffing or denting the sharpened teeth. The set when pushing against the teeth often crushes the beveled edge of a sharpened tooth. This is less so on a cross cut, but worth keeping in mind. Also the set does adjust the angle of the tooth and although the angle is small it will affect your final fleam. I’m sure this could be argued but I’m putting it out there anyway. The con is you’re forced to set by the numbers or eye. You can test cut to determine the proper amount. Setting after you sharpen is less popular but the pro is you can cut with the saw and determine the proper amount. The con is if you’re not really careful and take precaution it’s easy to scratch or dent the teeth. Also you are adjusting the fleam angle. If this method seems to your liking, check out Pete Taran’s website for more info and some tips on softening the tip of the set to prevent it from marking the teeth in use. In general most saw mechanics including myself often find older saws have more set than needed for modern properly dried woods. I’ve never read much about why but my theory would be many saws were originally used for construction and softer wet woods like pine tend to need more set. Also power setters like the foley tend to set heavy handed. So pick your poison and set before or after you sharpen. In the end both techniques work. I have some links on the subject below if you’re looking for more detailed information. In the last 100+ years styles and quantity of sets made may rival the total number of saws made! If you’re an avid tool hunter you know what I mean. To get some idea of the many sets made check out the Saw Set Collector’s Resource. Which one is the best is highly debatable, not unlike the best saw. I’m sure to some degree they all work and it largely comes down to preference. Also I have no intention of opening Pandora’s box and for any pictures or references I will use and speak to the Stanley 42x. It’s by far the most popular vintage set and I’m sure at some point will be reproduced. Note: you may have read one of my earlier posts about having replacement springs made and for sale. In addition I also recondition and sell complete sets; check my ebay or regular site for more info. I’ll stay out of the debate on pros and cons on brands and styles of sets made and rather talk to the basics. As stated earlier there is a wide variety of brands and styles but most I’ve see fall into three basic categories. hand hammering or pry bar style. 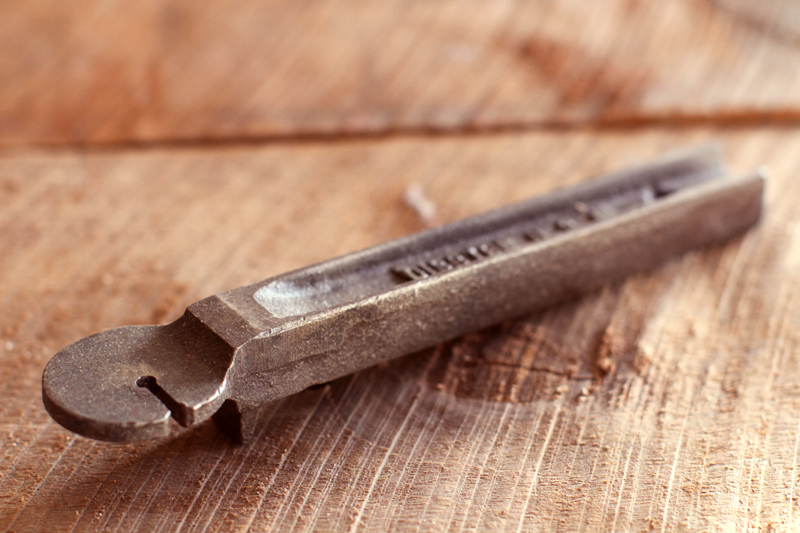 The hammer – the duct tape of hand tools! Hammers do a great job of tending teeth but really work best for circular blades and larger tree saws. I don’t have a lot of experience using them for setting but it’s a viable option. The bar style is found in all different sizes and has slits of varying width to accommodate different plate thickness. I often find they look like pine trees. 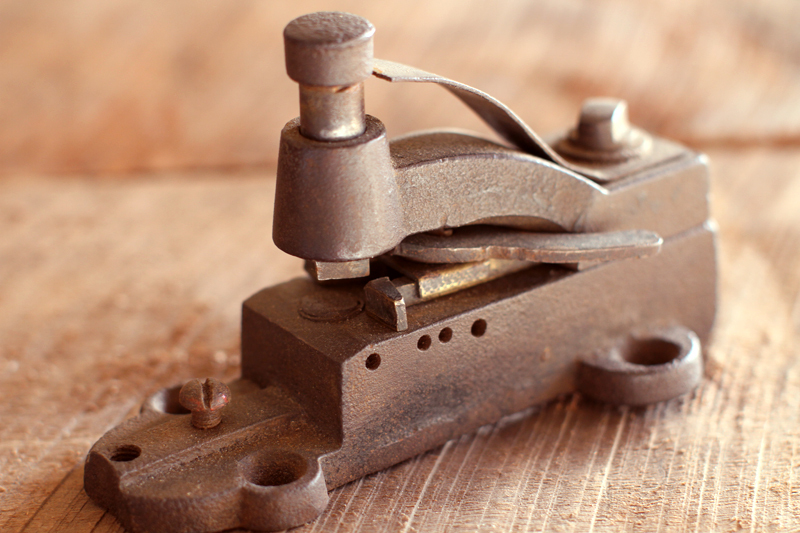 After the mid 1900’s they were mostly used on larger tree saws where plier styles didn’t work as well. The pry bar style is one of the earliest styles made and varies in look but all work the same. A bar with a slit is slid over the tooth, held perpendicular and used to bend the tooth. Each tooth is bent one at a time by eye. The bar will have slits in different widths to accommodate a variety of saw plates. Bench top power and manually operated setters. Most I find in this category were made for band and circular saw blades and favor blades with repetition (think large bandsaw) and the exact amount of set has a little wiggle room. Early examples were sometimes foot activated and later models like the Foley used electric motors. I will throw out some general caution if you’re considering using a power setter on your 100+ year old Disston; they work quickly and use a good deal of force. 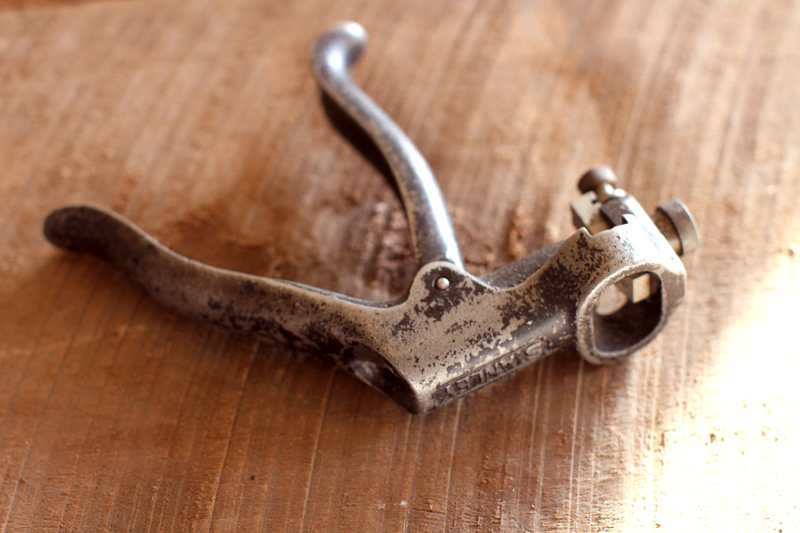 Hand operated plier style setters. I would venture a guess that over the last 100 years hundreds of different styles and models were made. But despite the wide diversity most work the same. The user holds the set either vertically or horizontally over the plate and squeezes the handles. They also vary in size; the larger ones were designed for circular, lumber, and large bandsaw blades. The issue is these larger sets have big hammers and as such work best with bigger teeth. All three of the types listed will work in varying degrees but I’ve always used the plier style as do most of the people I’ve learned from and talk with. So try a few, or buy one and let’s talk about identifying and applying set to a tooth. This first part of identifying the direction is something most people and articles overlook. It’s easy to dismiss this step but failure to do this properly will almost always result in a broken tooth or teeth. If that happens take a breath and read my previous post “the shape of things to come”. When I first started sharpening I would figure out the direction of set AFTER I jointed and shaped the teeth. It’s understandable to do that and most writing on the subject will do it that way. However it’s way easier to see it BEFORE you joint or shape the teeth. On some saws like backsaws with small fine teeth it’s a real time saver. Because of this I’ve gotten in the habit of checking set when I sit down at the bench with a fresh saw. 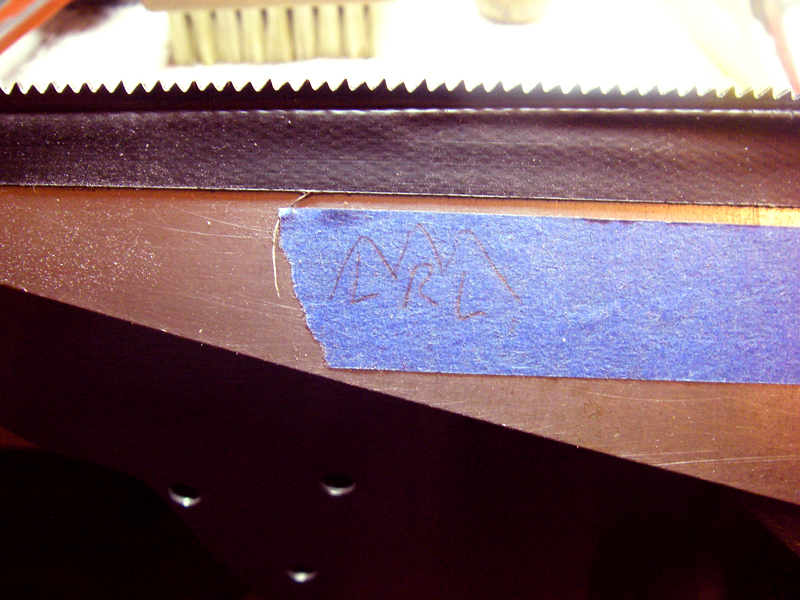 I stick a piece of painter’s tape on the edge of the vise and draw arrows that look like this ^ ^ ^. Under them I write LRL (LEFT RIGHT LEFT) or RLR. That way when you’re done doing all your shaping, regardless of how much jointing you’ve done, you’re not hunting for the set and running the chance of breaking a tooth. I can tell you from experience it’s not always visible to the eye. Ok so now that we’ve figured out the orientation of teeth it’s just a matter of applying it with the tool. There really is no substitution for practice but the key is to not overset and to apply consistent pressure throughout the process. The correct amount is not purely mathematically. It’s a mix of many factors and for the most part you want to use as little as possible. 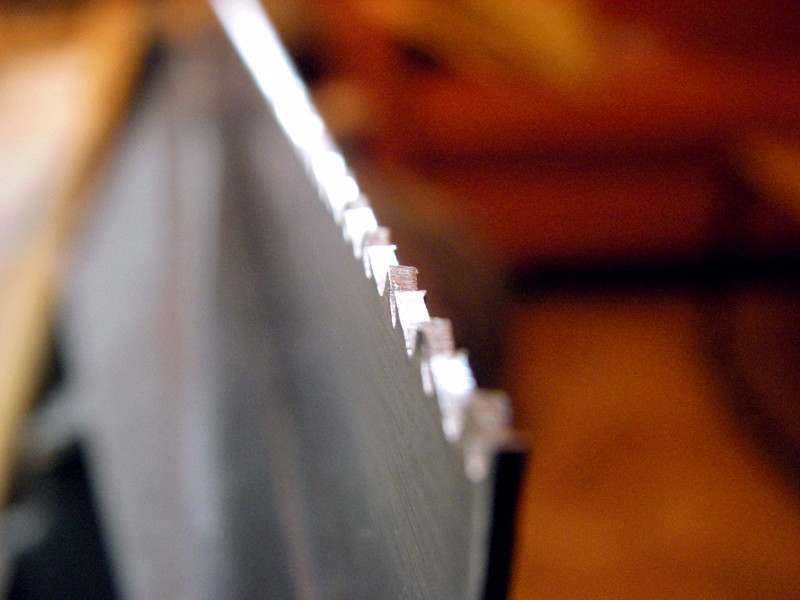 A good rule of thumb is to increase the thickness of the blade by 20% for dry hardwoods and 25-30% for softwoods. If you’re using a Stanley 42X that’s going to put you around the 2nd or 3rd hash mark. Location, location, location: You want to apply the tip of the set (I call this the hammer) as close to the center top of the tooth as possible. Depending on the rake of teeth, centering the set on the tooth can be a bit tricky. The backside without the etch I find requires a double check of the smaller teeth. Just to reiterate you are skipping every other tooth as you work one side, flipping, and working back. I’m left handed and I work with the handle to the left. After shaping I lift the plate as high as needed to clear the handle of the set in the vise. I start at the tail and work my way to tip. I then flip it, put it back in the vise, and work in the other direction. 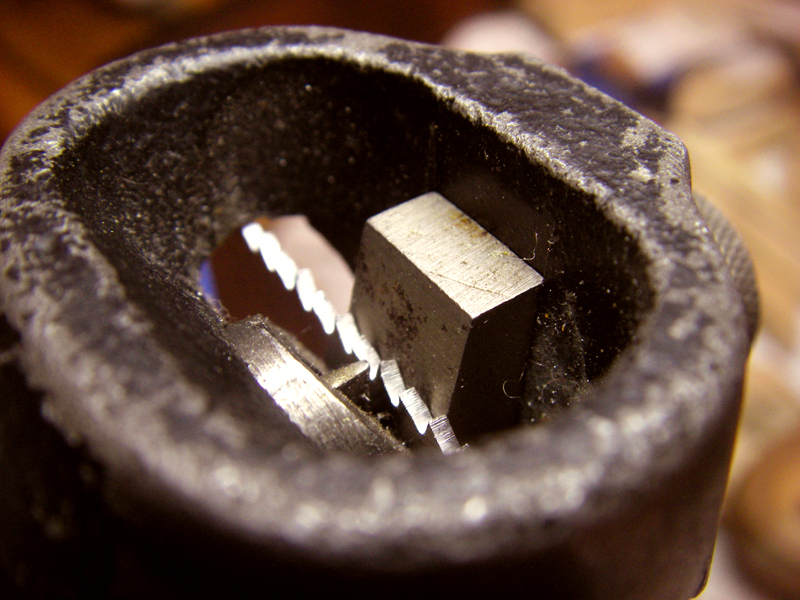 A regular saw vise works fine for panel saws but smaller dovetail saws can be tricky to set. The handles on saw sets that require being held parallel to the vise may not have the clearance needed. In these cases I use a tall thin leather lined machine vise. I’m sure other work-arounds are out there as well. Please post any as I’m always interested in learning to build a better mouse trap. Another option would be to use a horizontally held set. It’s not a monumental problem, just something to keep in mind so I’m calling it out. Another issue when first learning to set is loosing track of where you are. Take whatever precautions you feel necessary. For smaller teeth I tend to wear cheater glasses. You can also mark the teeth with a dot. Also if you stop and loose track I find a flashlight or tilting the plate to the light will allow the light to catch small marks where the hammer contacted the plate. Lastly, if you wax the plate, any leftover wax will hold the marks. In the event you do mess up, stop. Don’t just keep going like nothing happened. Chances are if you reverse the set the tooth will break. If you’re a gambling man go for it. Otherwise the best option is to joint it down and start over. See the post on jointing for dealing with broken teeth. Depending on the set most have some type of adjustment that gauge the amount of set that’s applied. I really can’t comment on the wide variety out there; rather I’ll just say experiment before you use it. I’ve provided some links below. I’m a fan of the 42x and will stick with that. The 42x uses an adjustable wedge with a scale that when adjusted allows the tooth to be set or bent more or less. The system is straightforward and adjustments are made in the head/top of the tool. I will add that although the gradations are the same on all 42x’s think of them more as a gauge and not a precise measurement. Ok so those are the basics of setting and the 42x. Just to recap some of the more important things. The best time to check for set orientation is at the start of the sharpening process before you joint the teeth flat. After shaping the teeth assess the amount of set. With rip saws you may find none is needed. If you’re not sure about the amount to apply, set the first few teeth, flip, apply set, and then check with a gauge. 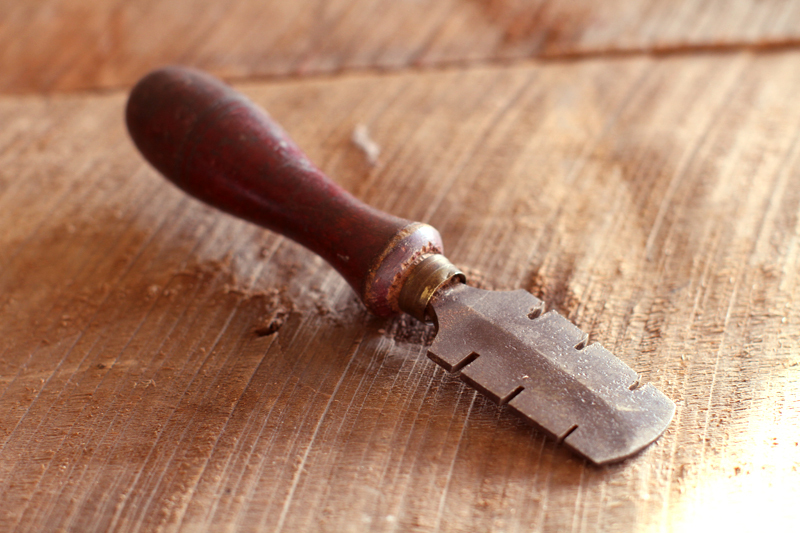 The rule of thumb is to increase the thickness of the blade by 20% for dry hardwoods, and 25-30% for softwoods. When applying set, you want to position the hammer at the top of the tooth. Apply even consistent pressure to each tooth and keep track! Hopefully this this helps as a starting point and fills in some of the gaps I found when starting off. Please feel free to leave any comments and I’ll do my best to update things for the future.